One of the great potentials of the data held in GBIF is its ability to engage members of the public with the natural world around them. These public stakeholders include students, citizen scientists, and nature lovers. 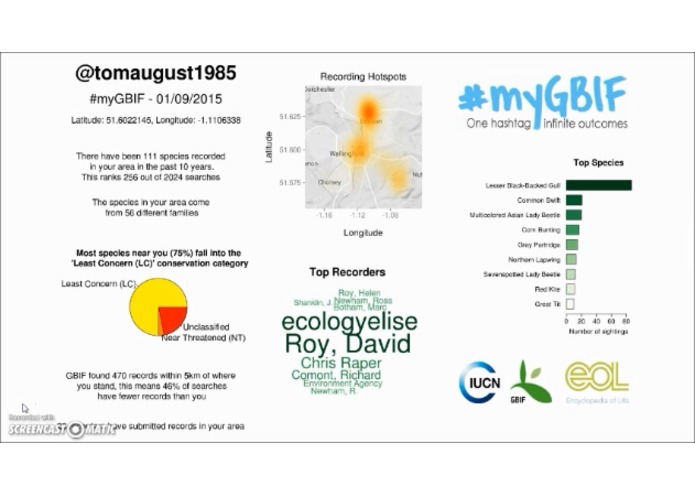 #myGBIF gives this community a fun and creative tool to explore data about their local area on a broad range of devices using social media. To connect to this audience Tom chose to use Twitter, a social media platform with over 230 million active users. 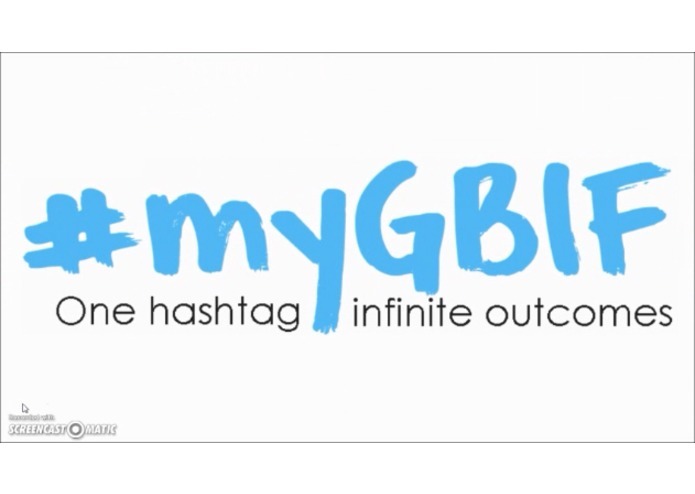 All a user has to do is include ‘#myGBIF’ in their tweet, very simple, very easy. 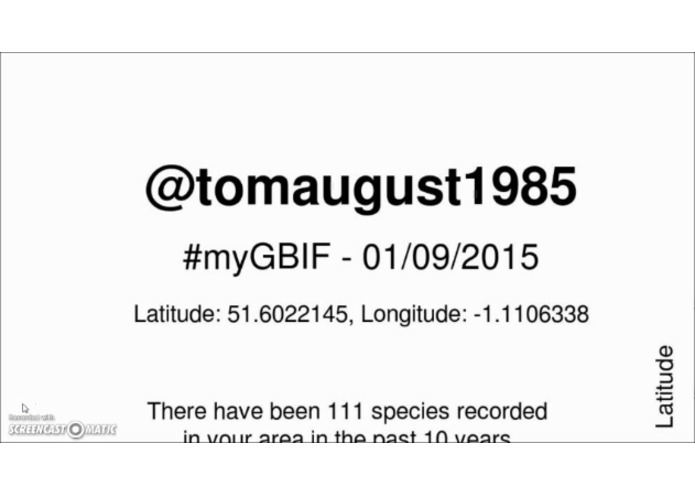 From their tweet we can get their location and in turn wildlife data for their area from GBIF. 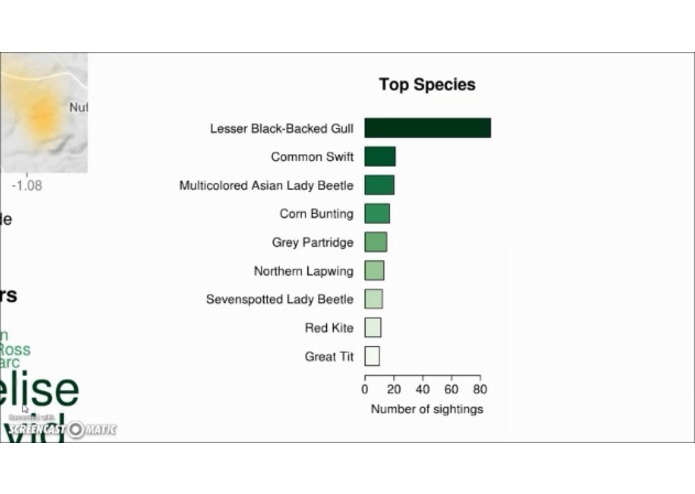 Common names and IUCN classifications were retrieved from EOL, and maps from Google. An infographic is built using this information, including graphs and natural language statements, and it is tweeted back to them, all in a couple of minutes. The process is run in R using existing libraries for Twitter (twitteR), GBIF (rgbif), EOL (Reol), and Google maps (ggmaps). 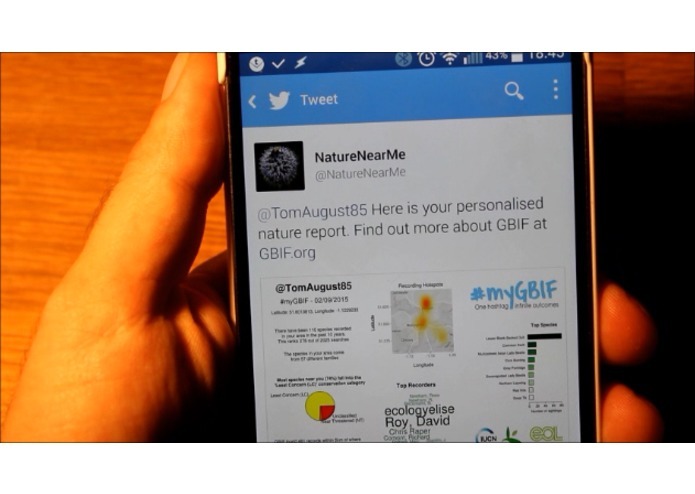 #myGBIF was built solely by Tom August, in his spare time, and runs on a £30 linux server that sits in his living room. myGBIF has had a few updates as we go into round 2. 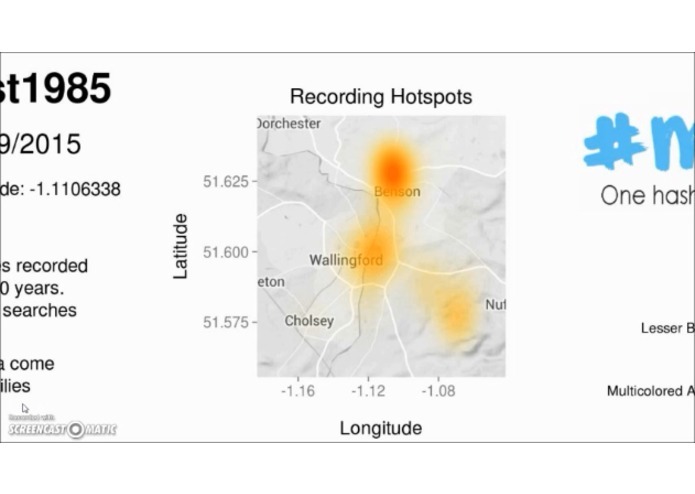 Our infographic is now in portrait and has a new feature, the recorder cloud. 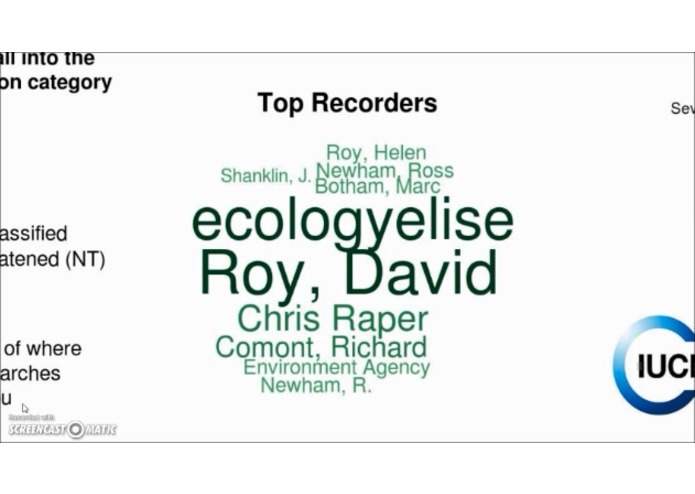 The recorder cloud details the top recorders in your area and scales their name by the number of records they have submitted. This means the top recorders get the biggest names. 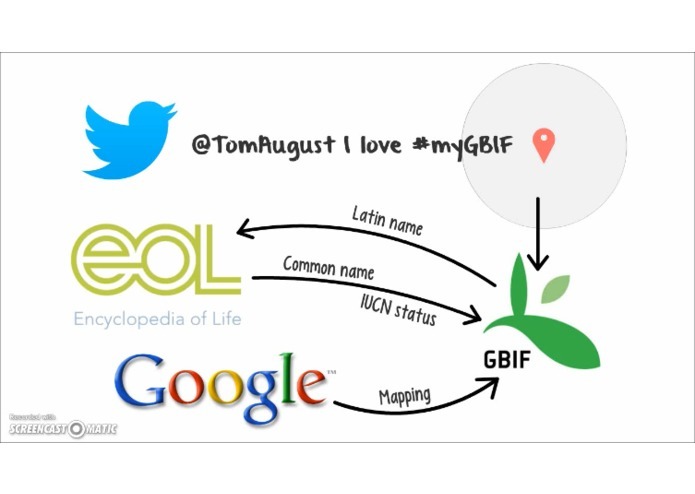 I've also added the new myGBIF logo and the logos of IUCN EOL and GBIF, who all contribute to the dataset we use.